Posted on September 18, 2015 at 9:11 am. This is a perfect, warming broth for fall weather. I enjoy it most as an accompaniment to fresh salad rolls, or when I’m simply not in the mood for a full meal. Medicinally, use this broth if you feel the onset of a cold coming on. If you’re experiencing chills, an increased sensitivity to cold weather, an aching neck/occiput – this is a perfect sipping broth! The chicken broth and coconut cream strengthen the qi of the spleen and heart. The ginger and chili flakes are warming herbs which help drive out cold and “release the exterior.” The recipe below calls for chicken stock. Here’s a vegan version of Tom Kha if that works better for you. Put all the ingredients in a pot and simmer for 10-15 minutes until piping hot. Add fish sauce (go slowly – it’s salty!) to taste. Add some cilantro. Enjoy! Note: If you’re interested in making a more traditional Tom Kha, see this recipe, which includes the immune-boosting Japanese mushrooms. And read this, if you want to know more about the healing benefits of chicken soup. 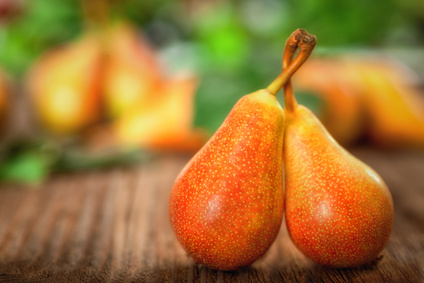 Pears are supportive of the Lungs; their cooling and moistening nature can help the lungs, nose, and throat. They can also eliminate heat and excess mucus. Walnuts also support the Lung and have a strong action against phlegm. If you decide to use this dish medicinally, consume baked pears once a day, for at least 4 days in a row. 1. Grind walnuts in a food processor or spice mill until they are powdered. 2. Wash pears. Halve the pears and scoop out seeds and pith, leaving an indentation for the dry ingredients. 3. Mix walnut powder, cinnamon, nutmeg, and lemon peel. Add this to the scooped out pears. Add a bit of honey to each pear (drip honey over the dried ingredients). 4. Pour apple juice in the bottom of the casserole dish. Cover. 5. Bake, covered, for about 35-40 minutes or until soft. Enjoy!